This Wednesday at noon registration closes for the “Dreiländer-Konferenz” which is held in Schaan, Liechtenstein this Friday 30 September 2016. The conference will offer the participants the opportunity to network with more than 70 practitioners from Switzerland, Liechtenstein and Austria. Please click here for a detailed programme including all speakers and side events. There are still a couple of tickets available, but registration closes this Wednesday noon. If you want to register, please click here on or before Wednesday noon. For the 10th anniversary in 2017 we will again welcome participants from numerous jurisdictions around the globe for two days of discussion on leading topics in international arbitration. 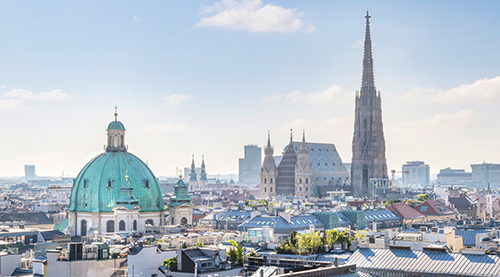 The Vienna Arbitration Days 2017 will take place from 24 – 25 February 2017 and discuss the topic “Repositioning Arbitration”. We are happy to announce that this year’s keynote speech will be delivered by Donald Francis Donovan (ICCA President). Speakers and moderators include among many others Gábor Bárdosi (Wolf Theiss), Simon Gabriel (Gabriel Arbitration), Monika Hartung (Wardyński & Partners), Gabrielle Kaufmann-Kohler (LKK Lévy Kaufmann-Kohler), Sophie Lamb (Latham & Watkins), Ilya Nikiforov (Egorov, Puginsky, Afanasiev & Partners), Paul Oberhammer (University of Vienna), Lucia Raimanova (Allen & Overy), Friederike Schäfer (ICC Paris). For our anniversary conference we expect a particularly high number of registrations. We would not be surprised if the conference was sold out early. In order to give our member the chance to secure their participation, Arb|Aut offers a special rate for Arb|Aut members (i) who register on or before 15 October 2016 and have (ii) have already paid their membership fees for 2016 at the time of registration. Eligible Arb|Aut members may use this link for online registration. 20 October 2016, at 7 p.m.
at the “Dachgeschoss” of the Juridicum (Schottenbastei 10-16, 1010 Vienna). The topic of the next Arb|Aut Forum is “Suspicions of corruption – what the Arbitral Tribunal can/must do”. Werner Jahnel, Partner at LALIVE, Switzerland, will discuss the treatment of corruption in international arbitration, including the arbitral tribunal’s duty and power to raise and investigate corruption. Following Werner’s keynote there will be time for discussions and exchange of thoughts on arbitration. The event will be held in English. Please register for this event here. at KNOETZL, Herrengasse 1, 1010 Vienna. The workshop will focus on managing unconscious bias in the workplace and in international arbitration and will show how to apply this knowledge in a negotiation setting. Catch up if you missed the first workshop or if you wish to deepen your knowledge gained in the first session. The event will be followed by a networking lunch. Please register by 7 October 2016. For more details please click here.